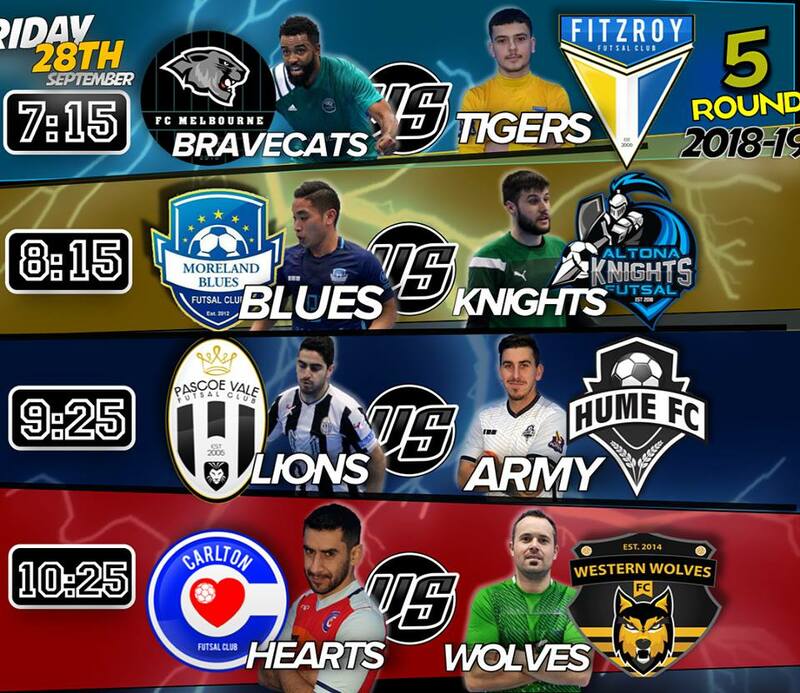 Our first game of round five saw bottom placed Melbourne Athletic come up against title hopefuls Fitzroy. The game began as expected with Fitzroy dominating the possession but Melbourne struck first when a throw in was headed towards the back post for Ben Grillo to finish and give the Bravecats the lead. Fitzroy hit back when Fernando De Moraes played a lovely ball to Scott Rogan who slotted it into the bottom corner to level proceedings, but Melbourne would again take the lead as returning Janiel Silva hit a rocket into the top corner to make it 2-1. From the resulting kick off Fitzroy answered back as Ben Monteleone cut inside and finished to have the scores level at the half time break. Fitzroy started the second half on the front foot and took the lead for the first time in the game as Corey Sewell finished from the top of the D, before a well placed Fernando De Moraes free kick found the net to give the Tigers some breathing space. Late in the piece Melbourne set up a grand stand finish when Rasoul Bahmani struck off a corner to have his side within a goal. But it wasn’t to be as Sewell iced the game with fifteen seconds to play giving Fitzroy another vital three points. Second up saw previous ladder leaders Moreland looking to reclaim their place at the top of the table as they took on a depleted Altona Knights side. Moreland started on the front foot and got out to an early 2-0 lead with Atay Ibrahim & returning Jordan Constantinidis both finding the net to have the Blues in a good position. Some lovely link up play between Ruz Roslan & Abdirahman Ahmed saw the latter finish with a tap in at the back post, before an own goal from Durim Cura only added to the Knights woes as Moreland took a 4-0 lead into the half time break. With the game threatening to blow out a combination of complacency for Moreland & an improved half from Altona saw a more even contest in the second half with Roslan getting himself a goal for a 5-0 lead. A penalty was awarded to Altona giving them a chance to get on the scoresheet, but nothing was going their way this evening as Christos Apostolakis denied Tony Saric from the spot and Moreland broke on the counter attack seeing Atay Ibrahim converted at the other end for a 6-0 lead to the Blues. Altona would get themselves a couple of late consolation goals through Tony Saric & first gamer Bobby Vidoski but it would only add respectability to the scoreline as Moreland continue their good start to the season and remain on top of the table for the time being. Next up saw Pascoe Vale and Hume lock horns an old rivalry renewed. No love lost between these two and a must win as both were looking to pull away from the relegation scrap. Hume struck first as Mario Petrovic struck on the turn squeezing it past Felipe Bley for an early lead to the army. Pascoe Vale drew level through a fantastic left footed volley from Joao Da Silva to put the Lions on par, before Petrtovic turned from hero to villain as Gerardo Soto picked his pocket and finished his one on one chance to give Pascoe Vale the lead. The returning Behrad Behzadpour would get himself a goal late in the half giving Pascoe Vale a handy 3-1 lead at the break. 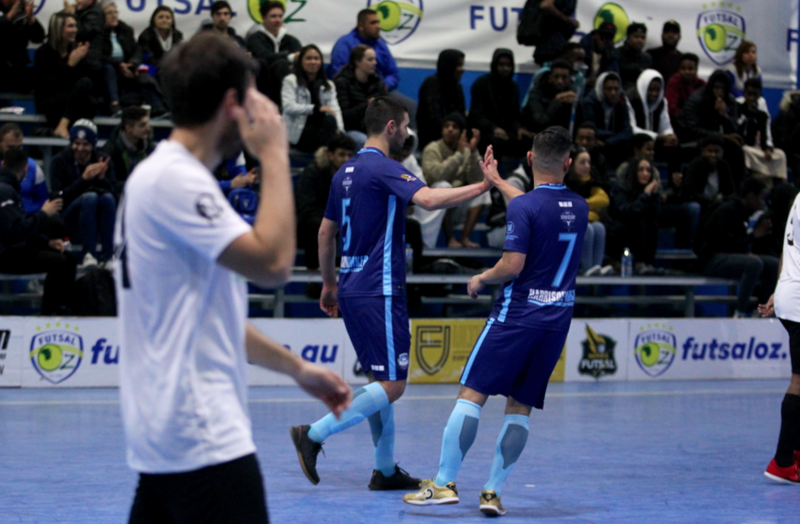 Hume applied some pressure early in the second half, but failed to find the back of the net and the key players missing meant the bench was thin and their legs were tiring, but Pascoe Vale only grew stronger as they added a fourth through Mauricio Novak to all but ice the game. 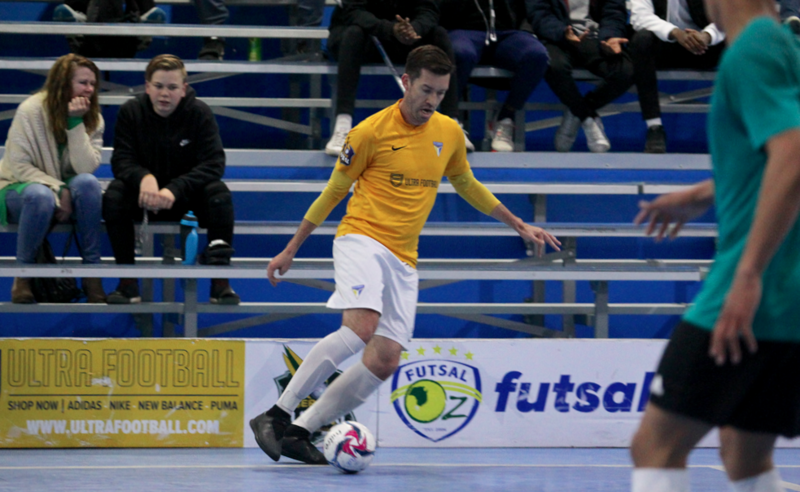 Joao Da Silva arrived late before smashing a ball high into the net to seal the game as the Lions recorded a convincing win as their season begins to get back on track. The final game of the night saw Champions Carlton Heart face a heavily depleted Western Wolves side. Despite missing eight key players the Wolves got off to the better start as they opened the scoring through new inclusion Rayane who struck from around ten meters. Carlton hit straight back as Rico Hauser struck a thunderbolt off the crossbar to level the scores at half time. Early in the second half Carlton took the lead for the first time in the game after a well executed set piece saw Jackson Georgi tap home giving Carlton a 2-1 advantage. The Wolves were not going away though and levelled the scores once again through returning Callum Mckuiley as the Wolves would push for a winner. Carlton would find another goal through Ernie Simsek who all but won the game for the Heart, but there were some tense moments for Carlton late on as an incredible double save from Peter Tamburrino saved the game from a penalty shootout and sealed all three points for the Heart.